"Therefore, go and make disciples of all nations . . ."
here in our own community and around world. The Aragons do an amazing work in Guatemala. Hector is a PAOC missionary who is a Guatemalan native. He spent many years in Canada in his young adult years and has returned home with his wife Ruth, to serve. He currently is assisting with the "William Cornelius Vocational Training Centre" project and is very actively involved in evangelism and visitation work for PAOC's child support program called ChildCARE Plus, where the children call him the 'smiling missionary'. 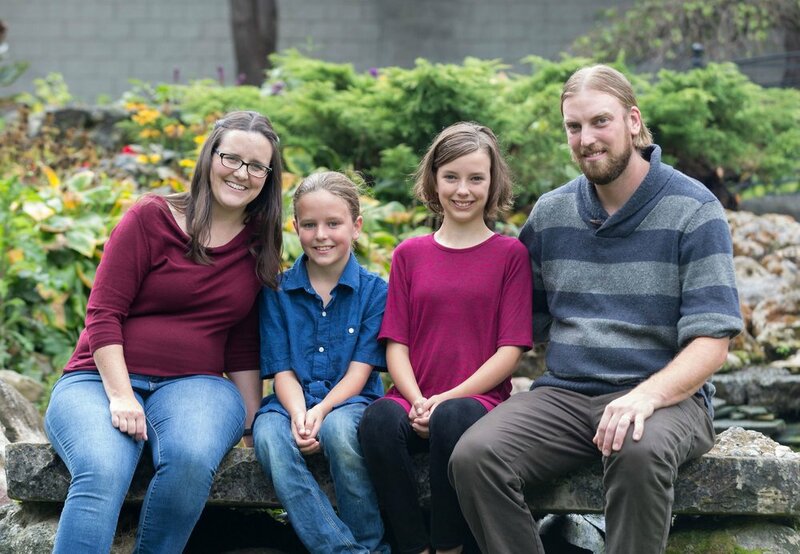 Since 2003 Jeremy and Teresa have been serving in Ethiopia. They work in training and releasing church planters, discipling young leaders, Bible college ministry, and on the leadership team of Addis Christian Life Assembly in Addis Ababa. God is and has been working among the unreached people in Ethiopia. People from a variety of cultural and religious backgrounds are coming to Christ and planting churches. Jeremy and Teresa's hearts beat to see the transforming gospel of Jesus Christ expand into the unreached portions of Africa that have yet to be engaged by the gospel, with a particular focus on North and West Africa. They also seek to raise the next generation of missionaries to expand the kingdom of God. Click here to find out more about PAOC Missions. Click here to find out more about ChildCare Plus sponsorship program. Anthony and Barbara serve in the Native communities of mid-northern Ontario, primarily on Manitoulin Island. Through out the year they run programs at the Daystar community centre for young moms, after school drop-in, and men's ministry. Daystar also runs week-long day camps for kids in the summer months in many Native communities across Ontario. They are spreading the gospel message to a people group right in our own backyard. We care about our community and seek to be actively involved with it. Ray of Hope’s Community Centre, offers a place of safety and support to those struggling through poverty and homelessness in the core of downtown Kitchener. Each man and woman who visits the centre is met by individuals who truly care about their well-being. Working in partnership with local churches, businesses and volunteers, Ray of Hope meets the practical needs of each guest who visits by providing a hot meal, groceries, clothing, blankets, towels, personal hygiene products and both shower & laundry facilities. By Peaceful Waters provides comprehensive Christian counselling for individuals, couples, families and groups. They also provide child-centred divorce solutions, life coaching, conflict mediation, and other services where the whole person, including emotional, behavioural, cognitive and spiritual elements, is valued, affirmed and empowered. Find out more on their website.